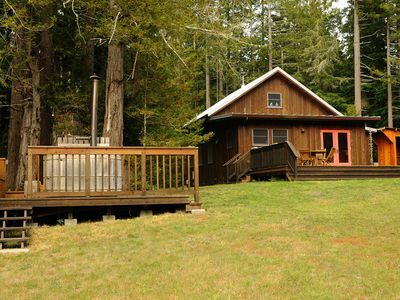 'Creekside Chalet' w/Spa By Exclusive Irish Beach! 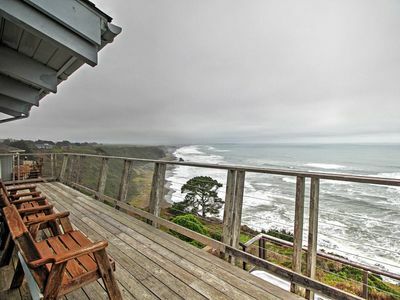 Embark on the Irish Beach retreat of a lifetime when you book the 'Creekside Chalet,' a peaceful 3-bedroom, 3-bathroom vacation rental house nestled amongst magnificent redwoods on the picturesque Mendocino County coast in Manchester. 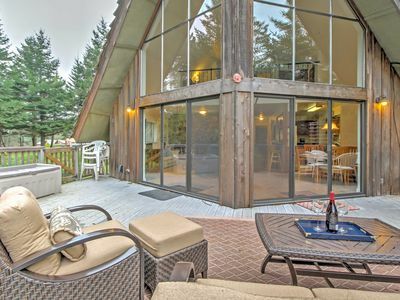 This spacious A-frame property offers accommodations for 8 guests across more than 1,850 square feet of tasteful, coastal-themed living space. 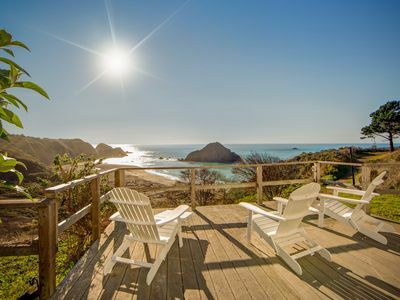 This exceptional rental is an ideal choice for families or close friends booking their next California getaway! The moment you step into the home, you'll be in awe of the dramatic, 2-story wall of windows which stream warmth and daylight throughout the space, and reveal the starry skies at night. 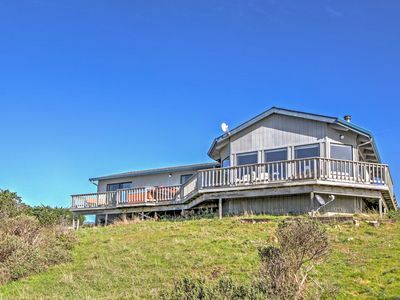 This stunning A-frame style house is tucked away in the trees, offering its guests a private and peaceful stay. Relax on the soft leather sofas in the open living area as you watch the 55-inch flat screen TV, equipped with satellite cable, wireless internet, and a BluRay Player, or curl up in front of the fireplace to warm your toes on chilly evenings. 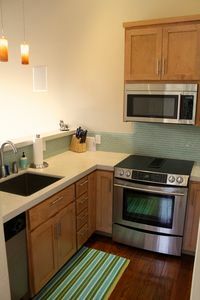 Prepare a delicious meal in the fully equipped kitchen as your guests keep you company on one of the 3 chairs at the counter. 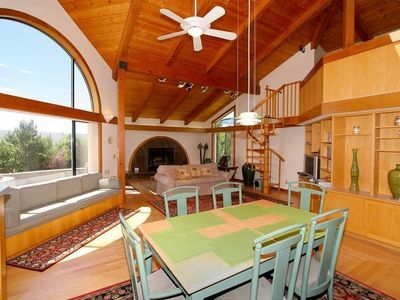 Enjoy your feast at the nearby dining table as you watch the sway of the forest outside. 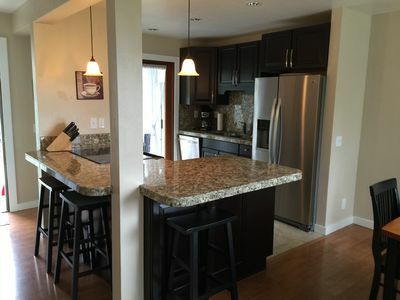 On lovely warm days, head outside to the expansive private deck to cook on the gas grill and enjoy a glass of wine while you relax on the comfortable patio furniture. Dine al fresco sheltered from the breezes as you relax to the sounds of Irish Creek tumbling to the ocean. 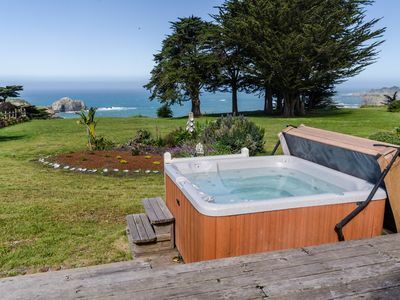 Venture down the stairway to find the romantic hot tub, completely secluded in a tree-lined paradise and world of its own! When it is time for bed, this home provides 2 bedrooms downstairs and a third spacious bedroom upstairs with a flat screen TV. An additional open loft bedroom lets you drift off to sleep beneath the stars twinkling through the windows and awaken to sunlight filtering through the trees. 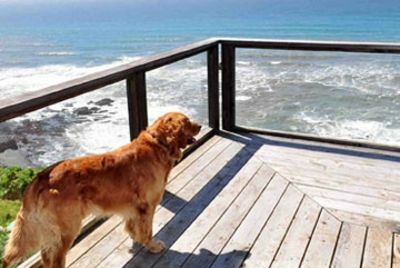 The 'Creekside Chalet' is located just a short distance from the private, gated Irish Beach which offers limitless opportunities for relaxing walks in the sand as the waves break over the beach or exhilarating jogs down the driftwood-strewn shoreline. Just a short stroll away is a small park with a catch-and-release pond, perfect for an afternoon picnic or quiet meditation. 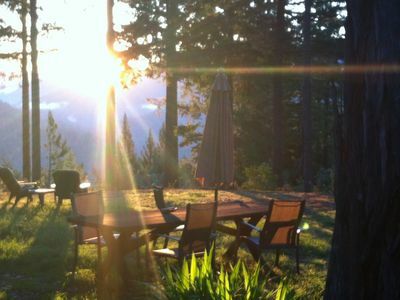 Spend the day exploring one of the many state parks nearby, including Manchester, Mackerricher, Van Damme, and Russian Gulch. Visit the historic Point Arena museum and lighthouse, the tallest lighthouse on the West coast, just a few miles to the south. 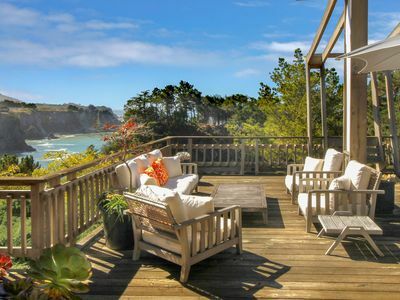 A short drive up the coast you'll find the quaint village of Mendocino and its historic water towers, which is also the setting for famous features including the "Murder She Wrote" series, the sultry James Dean movie "East of Eden" and many others. On the way, don't forget to stop for lunch at Queenies, the favorite local eatery in the tiny, charming town of Elk. If you want to venture further, take a day trip to Anderson Valley where you can sample local wine and tour the many vineyards. 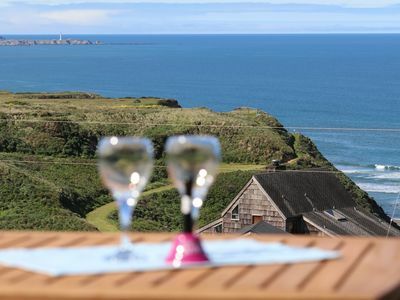 Regardless of how you choose to spend your time at 'Creekside Chalet,' you are sure to have a memorable stay at this incredible Irish Beach vacation rental home. 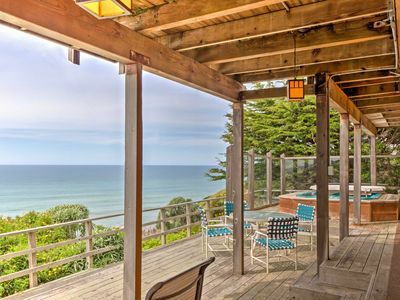 Casa Cañon Retreat with Sweeping Ocean View & Designer Interior! 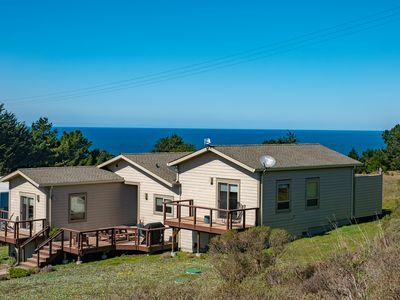 Oceanfront home w/ private hot tub, ocean views & entertainment! 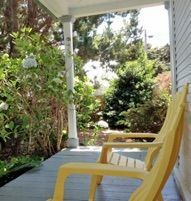 Mendocino Coast Victorian, beautifully remodeled and conveniently located. Irish Beach 'Ocean View' Home on Manchester Coast! 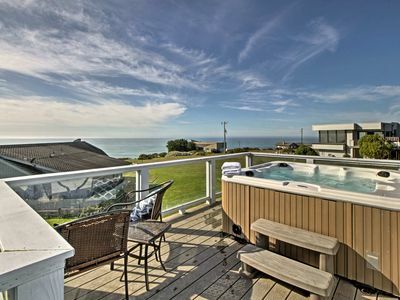 Irish Beach Front 'Sea Haven' House w/ Hot Tub! 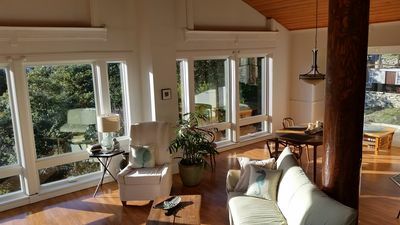 3BR 'Sea B's' Irish Beach House w/Ocean Views! 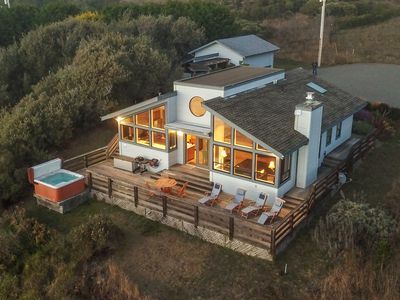 Cozy Irish Beach House w/ Hot Tub & Ocean Views! 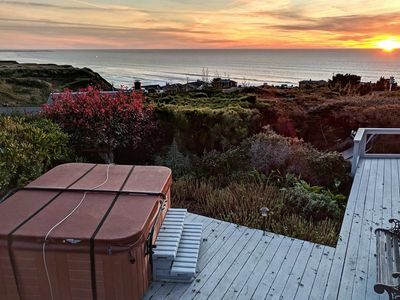 Irish Beach Home w/Rooftop Hot Tub & Ocean Views! 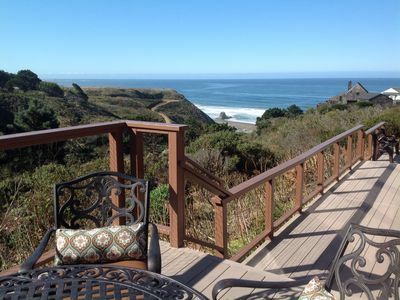 Stylish oceanfront home w/ stunning bluff views, deck & veranda - near beaches!